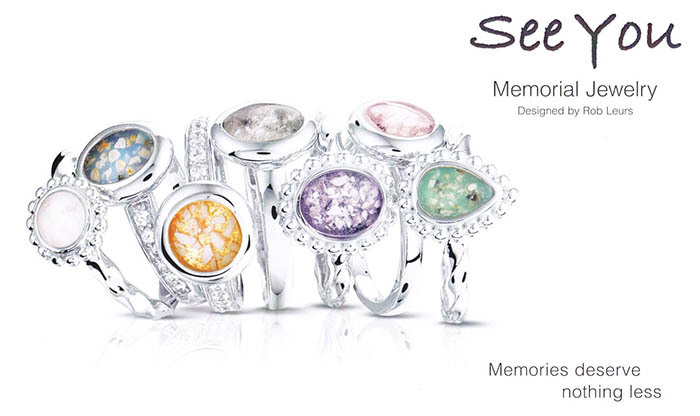 See You Memorial Jewelry take great pride in every piece we make. We guarantee to repair or replace our pieces for up to two years from date of purchase if the repair or replacement is caused by construction defect. Repair and replacement of the coloured layer is guaranteed for one year from the date of purchase. This warranty excludes repair for damage caused by anything other than a construction defect or if the item has lost its ash layer. For the avoidance of doubt, this warranty does not cover damage caused by neglect, abuse or general wear and tear. Regular upkeep of your jewellery is required to maintain your warranty. A documented periodic inspection of your jewellery purchase is the best way to safeguard against potential problems. In any event, we recommend removing your jewellery before doing dishes, showering or swimming. Avoid wearing jewellery in chlorinated water, salt water, or around harsh chemicals as it can discolour and damage jewellery as well as loosen stones and discolour resins. Put jewellery on after using cosmetics, hair spray or perfumes to avoid contact with substances and chemicals that may cause damage to resins. All repairs under this warranty are at the discretion of the jeweller and will be limited to the purchase price of the item. We recommend saving spare ashes in the event of a replacement.